Dry erase calendars are a dynamic and cost-effective tool for getting organized. The only downside to these versatile boards is the time that it takes to update the grid with the dates each month - a process which has led some users to stick with traditional paper calendars. However, the new 13868UA-1 Perpetual Dry Erase Calendar Board by Board Dudes changes everything. With an innovative design, this calendar features built-in month and date information that is controlled by two convenient knobs, eliminating the need to manually write dates onto the calendar. In this post, we'll take a closer look at this popular new dry erase board model. The 13868UA-1 Perpetual Calendar Board measures 17" x 23" and has an attractive and durable aluminum frame. The calendar design features six rows with seven columns to accommodate all possible date configurations. It also includes a handy "Notes" section as well as a cork strip to help you stay organized. The month and date information is located behind a protective, dry erase surface, and is controlled by two knobs located on the right side of the board. To change the month, simply twist the upper knob until you reach the desired month. Turn the lower knob to update the dates, which are configured in a way that enables them to fill all possible month length and starting day combinations. Dry erase calendars are a budget-friendly alternative to traditional wall or desk calendars, since they can be used and reused for many years. The new 13868UA-1 Perpetual Dry Erase Calendar Board by Board Dudes eliminates the need to manually write in the month and dates with a unique design that pre-fills the information by simply twisting two convenient knobs. If you've found yourself deterred from dry erase calendars in the past because of the tedious process of writing in the dates each month, then you'll definitely want to take a second look at the 13868UA-1 Perpetual Dry Erase Calendar. With the beginning of a new year just around the corner, there’s no better time to create your own custom calendars! Whether you’re using them for promotional giveaways for business associates or as unique gifts for friends and family, custom calendars are a great way to share your message with others all year long. Even if you don’t have the budget for large runs of professionally-made calendars, it is still possible to achieve professional-looking results in your own home or office when you use wire calendar hangers – and it’s surprisingly easy! In this post, we’ll take a closer look at wire calendar hangers and discover how they can transform ordinary color copies into a extraordinary wall calendars. Wire calendar hangers are small, sturdy pieces of wire that have a shallow curve located in the center. This curve is aligned with a notch on the edge of the document (which is created using a half-moon punch), and the resulting opening allows the calendar to be hung using a nail or push pin while still providing clearance for the pages to be turned. They are available in two sizes – 6” wires that accommodate calendars that are 6”-9” on the bound side and 10” wires that are designed for calendars that are 10” or larger on the bound edge. The calendar hanger is secured in place by a standard wire binding spine (recommended size: 5/16”). Creating a custom calendar with wire calendar hangers is easy! All that is required is a 3:1 pitch wire binding machine, a half-moon punch, 5/16” twin loop binding wires (3:1 pitch), wire calendar hangers, and color copies of your photographs or promotional images that have been prepared with your favorite calendar software. Begin by using the half-moon punch to create a semi-circle notch in the center of the edge to be bound (the edge that will be used to hang the calendar). Next, align your document in the punching portion of your wire binding machine so that it has an even number of holes on both sides (note: this may require you to disengage a few pins to avoid punching partial holes in either the notched section or the outside edges of your calendar). After punching your document, cut your wire binding spine down to the appropriate length for each side of the top edge. Insert your pages as well as the wire calendar hanger into the two spine sections, and use your wire closer to complete the bind. Now your custom calendar is ready to share with a friend or colleague. Almost everyone has a calendar hanging in their home or office, so creating a custom calendar is an excellent way to share your photographs or promotional messages with others throughout the entire year. Though professionally-produced calendars can be expensive (and often require large production runs), making your own calendars is a cost-effective and surprisingly simple process. By using a wire binding machine, half-moon punch, twin loop wires, wire calendar hangers, and your artwork, creating small or large batches of calendars is as easy as binding a document. If you’re looking for an original gift idea for friends or family, or a useful promotional piece for business associates, custom calendars may be an ideal choice for you. Transparency film has been widely-used within the educational industry for decades, however the development of versatile, new film styles that are compatible with common copier machines has gained them popularity with many other professional organizations. In this post, we’ll cover the basics of the various styles of transparency film, and provide some insight into ways that they are being used in professional environments. Transparencies are thin, flexible sheets of clear material (generally cellulose acetate) that can be written or printed on for use in presentations and reports. Some styles have sensing stripes, which are narrow strips of removable paper that run down one side of the transparency and help copier machines detect the film as it moves through the rollers. To determine whether or not your machine requires that transparency film sheets have sensing stripes, consult the owner’s manual (or visit the manufacturer’s website) for more information. There are four varieties of transparency film – write-on film, plain paper copier film, laser film, and inkjet film. Write-on film is commonly used with overhead projectors, and can be purchased in pre-cut sheets or bulk rolls. It is most frequently used in conjunction with dry erase markers, which allow the user to write non-permanent messages, but permanent markers can also be used to create non-removable markings. Plain paper copier film is specially designed to run through plain paper copiers, allowing you to create large quantities of identical transparencies in either color or black-and-white. Laser film is similar to plain paper copier film in that it can be used to make a high volume of black-and-white or color prints, however it is made to work specifically within laser printers. Inkjet film allows the ink from standard inkjet printers to adhere to the film, but often requires extra drying time and the use of special print settings. When used with overhead projectors, write-on transparencies provide a great visual aid for presentations and conferences, since they allow the speaker to make illustrative notes and sketches that correspond with questions from the audience. Plain paper copier films, laser films, and inkjet films make eye-catching inserts into bound documents, as they can be used to create overlays in employee training manuals, financial reports, or even legal presentations. Transparencies even have craft applications, and can be used to add interest to scrapbook pages and art projects, especially when personal photos are printed onto them. With all of the assorted varieties available on the market, transparency film makes an excellent addition to any school or office environment. From the board room to the classroom, these versatile films have almost limitless applications, such as providing visual aids during presentations, creating custom overlays in company manuals, or even for making unique art projects. To ensure proper performance, it is important that you select the proper transparency style for your purposes: write-on film for use with dry erase markers, plain paper copier film works with plain paper copiers, laser printers utilize laser film, and inkjet film is designed for inkjet printers. If you choose to use any of the varieties made for copiers or printers, be sure to consult your owner’s manual for complete usage instructions and to determine if your machine requires the use of a sensing stripe. Get Organized with Dry Erase Boards, Corkboards & Chalkboards! From schools and offices to kitchens and dorm rooms, almost everyone has some sort of memo or bulletin board to help them share ideas and stay organized. In this post, we'll discuss the three most common styles of boards, along with the unique characteristics of each. Also referred to as "whiteboards," dry erase boards have slick, coated surfaces that enable the user to write non-permanent messages with specialized markers. They are frequently used for presentation purposes in schools and offices, but they have been gaining popularity with home users, especially since the release of decorative and specialized models (such as calendars and "chore charts"). Whiteboards are surprisingly versatile, with large boards doubling as projection surfaces for digital and traditional projectors. Markings made on dry erase boards are more resistant to environmental factors (such as water) than messages written on chalkboards, and they do not generate dust like chalk does, which allows them to be used in dust-sensitive atmospheres. In addition to standard dry erase board styles, Lamination Depot stocks a number of specialty boards, including magnetic boards, calendars, combo boards (which have both cork and dry erase sections), designer boards with decorative frames, and unframed "tile" boards. Chalkboards (also called "blackboards") have been present in classrooms around the world for many years. They were originally crafted from slabs of slate, but modern chalkboards can be made from steel covered in porcelain enamel or a board covered in a dark paint that has a matte finish. Sticks of calcium sulphate (commonly referred to as "chalk") are used to make non-permanent markings on the boards, which are easily removed using soft felt erasers. Though many schools have started transitioning from chalkboards to dry erase boards, they are increasingly popular in homes, where they are often used to jot down notes and lists. Chalkboards tend to generate some dust when used regularly, however they are odor-free (unlike the markers used on dry erase boards, which can have a strong odor). Cork boards (also called "bulletin boards") are made of soft, spongy cork that allows the user to pin and remove papers, photos, and other items. Unlike dry erase and chalkboards, cork boards do not allow the user to write and erase messages, but the ease of adding and removing documents has made them a regular fixture in many community centers and universities. Many chalkboard and dry erase board styles are now incorporating cork sections to allow users to have the ability to write non-permanent messages and pin items up side-by-side. No specialized supplies are required to use a cork board – any small tack, pin, or even staple can be used to secure documents. Dry erase markers and erasers are the most widely used board accessories, due to the popularity of dry erase boards. The markers themselves possess a number of qualities that make them preferable over chalk, including that they do not aggravate allergies and asthma in the way that chalk does and are available in a much larger color palette. Like other types of markers, they are offered in a variety of tip sizes and styles, including point and chisel. Dry erasers are similar in look and function to chalk erasers, but they have a softer surface to help prevent scratches. There are also many creative accessories on the market, such as decorative magnets, magnetic document clips, eraser-topped markers, and markers with magnetic tassels. Whether you're looking to enhance your conference room presentations, make classroom lessons come to life, help your college-bound teen stay organized, or simply have a place to jot down occasional notes and lists, you'll find that a dry erase board, chalkboard, or cork board will fit your needs. They're versatile, inexpensive, and available in a wide range of features and styles. 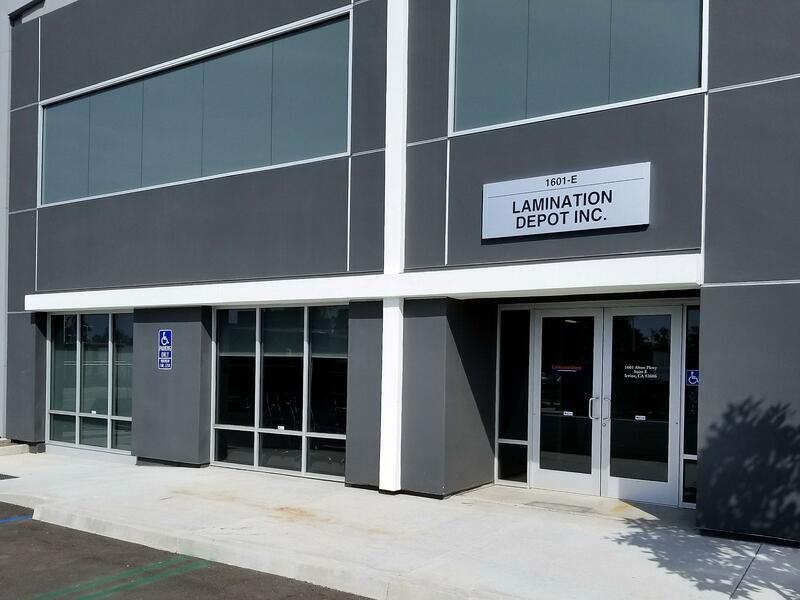 Lamination Depot carries more than 35 dry erase boards, chalkboards, corkboards, and accessories from Board Dudes, one of the leading manufacturers in the presentation industry.